90% of our graduates of 2013 are already in full-time employment. TSiBA graduate Khanyisa Mtombeni, has been awarded a Kofi Annan Fellowship to study an MBA in Germany. We continue to scale our impact: this year we’ve enrolled over 450 full time students, will launch a night school for part time degree students this month, are providing youth skills training for the Department of Economic Development and have begun to market a local Executive Education offering.We continue to provide thought leadership on community upliftment and social enterprise. Our rural campus, TSiBA Eden, won Gold at the Impumelelo Social Innovations Awards. In addition, we are participating in a think tank on social impact bonds with the University of Cape Town. We are starting our 2014 UK fundraising, with a campaign: Cycling for Change. 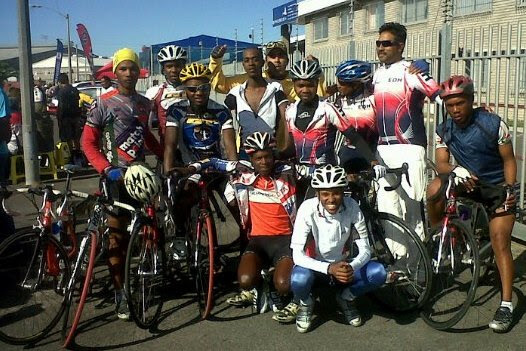 Twenty cyclists will be racing in the arduous but scenically beautiful Cape Argus Cycle Tour on the 9th March in Cape Town. Of course, you can also sponsor a student’s tuition for a year for only £3200 per student. For more information about this, please email penny@tsiba.org.zaYou are an important part of the TSiBA community. We look forward to you joining us in May to support our mission to ignite opportunity for emerging talent.